Bette Davis was the most electrifying actress of the twentieth century, but Hollywood cares little for such things. When she was “too old” to be bankable anymore, she had to take some odd roles to keep working. 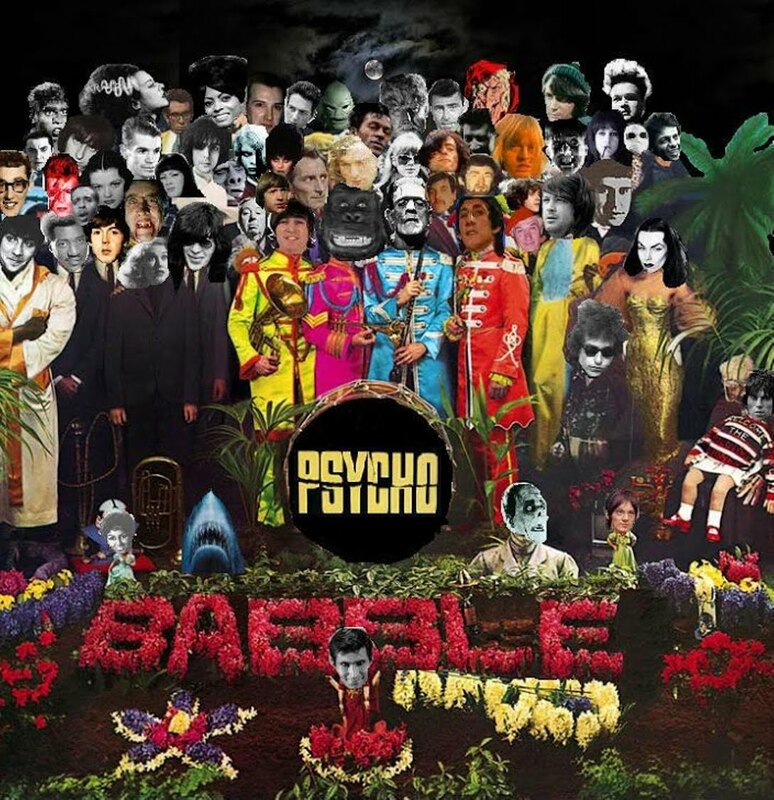 However, the first of these second-wave pictures was actually fairly prestigious. Davis really wanted to work with director Robert Aldrich, and their collaboration in What Ever Happened to Baby Jane? became a smash hit, a massive pop culture touchstone, and quite nearly the film that earned Davis her third Oscar (alas, she lost out to “Miracle Worker” Anne Bancroft). Follow ups to these kinds of successes are inevitable today, but less so in the early sixties. 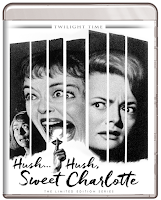 Nevertheless, Aldrich, Davis, and Baby Jane co-star Joan Crawford schemed to work together on a similar project ultimately titled Hush…Hush, Sweet Charlotte. The actresses would play different characters but resume their Gothic histrionics and onscreen rivalry. The off-screen ones continued too, and unable to deal with star and co-producer Davis’s nastiness any longer, Crawford “fell ill,” causing her to bail long after production had started. In stepped Davis’s good buddy Olivia de Havilland to fill Crawford’s clogs. 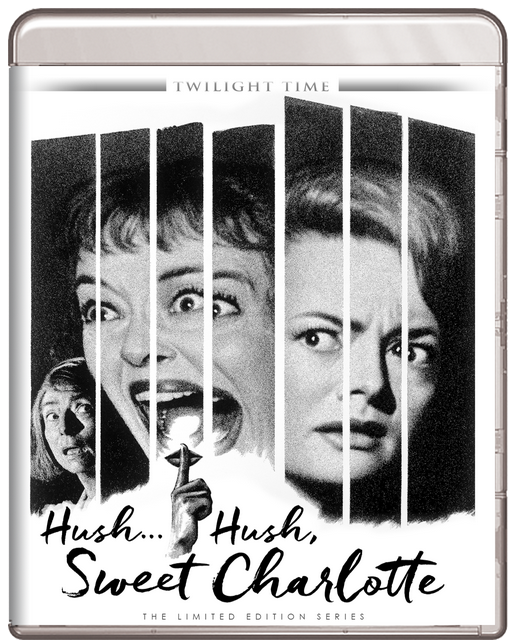 It’s probably unfair to compare two films that aren’t even really sequels, but it’s pretty impossible not to weigh Hush…Hush, Sweet Charlotte against What Ever Happened to Baby Jane? and not find the follow up to be a touch lacking. De Havilland simply does not have Crawford’s gravity, and though she does manage to generate some sparks facing off against Davis, they don’t quite ignite as they did in the earlier picture. The Gaslight-meets-William Castle-meets Scooby Doo story is much more conventional than the pioneering child-star-gone-bad plot of Baby Jane. Davis is Charlotte Hollis, whose beau (a very fleeting Bruce Dern) had been butchered with a kitchen cleaver 36 years earlier. Now she’s a middle-aged woman still haunted by the murder most folks assume she committed. When the Louisiana Highway Commission informs her of plans to build a bridge through her beloved antebellum mansion, Charlotte calls on the assistance of her cousin Miriam (de Havilland), who turns out to have designs on the mansion, herself. While its story is very different, Hush…Hush does share Baby Jane’s one significant flaw: it’s about 30 minutes too long. And without any of the truly memorable set pieces of the earlier film (no rat supper this time, though there are a few memorable reappearances of Dern’s severed head and some eerie late-night haunting scenes, one of which involves a fairly freaky hallucination), it is a long and pretty talky two hours and thirteen minutes. But maybe we should let the comparisons die there, because taken on its own, Hush…Hush, Sweet Charlotte has a lot of wonderful things going for it too, the most obvious being Davis, who gets to go cuckoo as only she could in the starring role. She also gets to play vulnerable, terrified, defiantly dignified, and even romantic with equal mastery. And though de Havilland has no chance to steal this show, Agnes Moorehead very nearly does as Charlotte’s slovenly, slurring housekeeper who expresses explicit and delicious disdain for every snooty fool who passes through the lush Hollis mansion. Hush…Hush is also a marvelous looking picture, with shadowy, Southern gothic cinematography from Joseph Biroc, whose diverse c.v. includes It’s a Wonderful Life, 13 Ghosts, and Blazing Saddles. That cinematography looks stunning on Twilight Time’s flawless new blu-ray of Hush…Hush, Sweet Charlotte. Utterly organic, beautifully high-contrast, and devoid of a single blemish, this is a sumptuous presentation. The disc also compiles all extras from the film’s previous two DVD incarnations: the commentary with film historian Glenn Erickson from the 2005 edition and the twenty-minute making-of doc and twelve-minute interview with Dern from the 2008 one. Twilight Time adds two choice new features: a commentary between historians Steve Peros and David Del Valle (so charming in his recent commentary for TT’s edition of Theatre of Blood) and a vintage four-minute promo/making-of short with overwrought narration from co-star Joseph Cotten. Get it here.